Are you looking for the best makeup app for your iPhone or iPad ? This article can help you to find the perfect makeup app for your device. Here we’ve listed some useful make up apps for iPhone and iPad users which help users to use tons of makeover effects to their photos. Some of these apps can be installed on your device free of cost. Try these useful makeup apps on your iPhone/iPad. Some of these #makeup apps are very useful and featured rich. With the help of these apps, you can easily beautify your skin, change skin color, change hair style and apply lots of photo effects. If you want to make your simple photos more attractive, these apps would be very useful. 1. Facetune ( #iPhone ) – Actually Facetune is a featured rich image editor but this app comes with some great makeup options that can make your simple photographs more beautiful. With Facetune, you can easily beautify your face and edit picture quality. Very useful app for makeup app lovers. The app helps you remove dark circle under eyes, pimples and blemishes and allows you to give professional touch to your photographs. With the help of this Facetune, you can make your face more beautiful and attractive quickly and easily. You can access lots of face editing features by installing this app such as teeth whitening option, skin tool to beautify your face, hair salon, reshape facial structure and more. Recommended makeup app for iPhone users. 2. 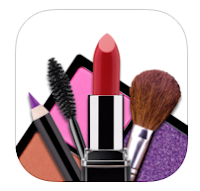 Makeup ( iPhone & iPad ) – Makeup is a useful free makeup app for iPhone and iPad users that lets you use many useful makeup tools such as cosmetic tools, hair style tool and different makeover effects. One of the best free makeup apps for iPhone and iPad and it comes with lots of useful features. With this app, you can instantly apply makeover effects to your photos. Just select any of your photos and choose your interested effects from thousands of makeup effects such as lipstick , foundation, eye shadow, line colors etc. One of the best free makeup apps on the app store, that has been integrated with lots of useful options such as – instant makeover visualisation, tons of unique colors, different types of hair styles etc. Recommended app for iOS users. 3. YouCam Makeup ( iPhone & iPad ) – One of the best makeup apps on the Appstore. YouCam makeup app comes with quick virtual makeover tool that lets you try different types of makeup on your photos and helps you see preview. This app has tons of features including real time makeover tool, face & skin beautifying options, hairstyles, eye beautification options, different styles of eyebrows, teeth whitening tool, lipstick tool with different colors. Very useful and featured rich makeup app that is available free of cost on the Appstore. 4. Bangstyle ( iPhone ) – Bangstyle is a great free hairstyle app for iPhone users that lets users browse thousands of hairstyle and haircuts quickly from their iPhone. Very useful app that also comes with some useful options such as salon locator with directions, social sharing option and more. You can use this makeup app free of cost on your iPhone. 5. Perfect 365 ( iPhone ) – One of the best makeup apps for iPhone users that help users to cleanup their photos. 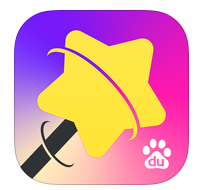 Very useful app that comes with some powerful makeup tools including photo editors, one touch makeover tool and photo enhancer tool. Great make up for iPhone that is integrated with face detection and social sharing options. You can download Perfect 365 on your iPhone free of cost. 6. Beautylish ( iPhone ) – Beautylish is a useful free makeup app for iPhone devices which helps you to read beauty tips, watch makeup video tutorials on hairstyles and makeup, browse makeup reviews, nail designs, hairstyles and much more. 7. Camera360 ( iPhone ) – Camera360 is a great free photo app that has tons of features and you can it all of those features free of cost. Camera360 app has several features, some of those are – 100+ funny stickers, photo collage maker, makeup tools to beautify skins, 100+ cool photo filters, photo editing tools, & AR camera. A complete photo editing solution that is available free of cost on the Appstore. This app lets you beautify your photos easily in just a single tap. 8. Photo Wonder ( iPhone ) – Photo Wonder is a great free photo editing app that also helps you beautify your face with the help of different types of makeup options. 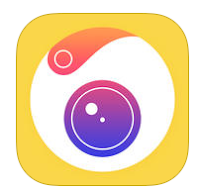 Photo Wonder is complete photo editing app that has many features such as photo editing tools, photo collage maker, live camera filters, photo frames and more. If you want to beautify your face and edit your photographs like professionals, you must download Photo wonder app on your iPhone. You can find makeup option in photo editing tools. Great app to make your photos more attractive.